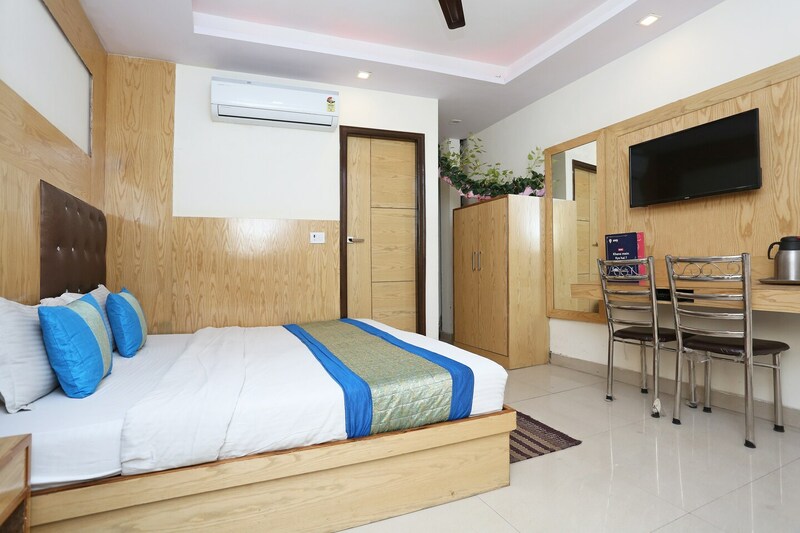 Hotel Cottage Lord Krishna offers delightful accommodation in the Paharganj area. You can easily walk to the nearby attractions such as Gurudwara Bangla Sahib, Chandni Chowk, and Jama Masjid. The rooms are designed with beautiful furnishings along with a work table and chairs. A cloth dryer and exhaust facility is available at the neatly maintained bathrooms. All the rooms include free Wi-Fi, air conditioner, cable TV, geyser, and wardrobe. Other amenities like laundry service, room service, daily housekeeping, tour desk, 24-hour front desk and CCTV cameras are offered here. You can enjoy an enticing dining experience at the nearby restaurants.